Sandy Densem was born and educated in Zimbabwe, studied Fine Art in Cape Town and holds an Advanced Diploma in Art and Creativity (Wellington NZ). She has painted and taught regularly for over 30 years. Sandy has had solo exhibitions in South Africa, Zimbabwe, Botswana, the UK and New Zealand. 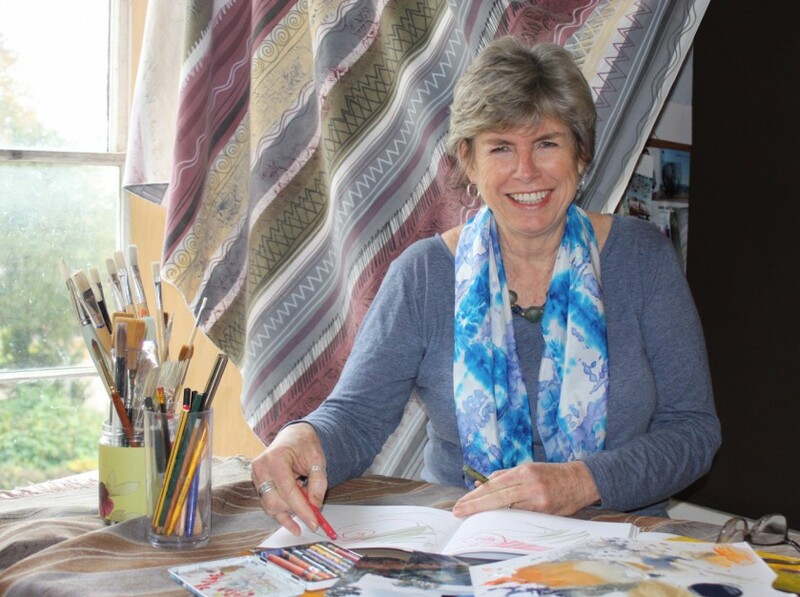 In addition to her painting, Sandy has also spent many years creating hand painted textiles, and produced a range of fabrics, graphics and paintings for a group of Safari Lodges in Zimbabwe. She has continued with this work and produces a range of individually designed and hand painted fabrics. Sandy has extensive art teaching experience, having taught at senior school level and adult groups for many years. She offers workshops in a wide range of media – drawing, painting and mixed media. “My work is an expression of the internal conversation I have when I am inspired by my environment. The viewer can explore the textures and find layers of meaning for themselves”. © Copyright Sandy Densem 2015.